As I type, CNN is mentioning that Google and Facebook empowered the massive protests in Egypt that are bringing down an authoritarian regime. For some governments networking is a threat to old orders. Access is shut down, blocked, or subverted. Yet globally, the connected send workarounds so protesters can share uncensored news and media with the planet. As I type, CNN is mentioning that Google and Facebook empowered the massive protests in Egypt that are bringing down an authoritarian regime. For some governments networking is a threat to old orders. Access is shut down, blocked, or subverted. Yet globally, the connected send workarounds so protesters can share uncensored news and media with the planet. In the U.S., suffering from economic stress and a poisoned political discourse, politicians struggle to adapt and to derive a vision for political leadership from models and hypotheses built around technology. I came to The Atlantic’s Town Hall in Washington DC to hear what government leaders have to say about how this process is working and their replies to diverse questions. Pennsylvania Avenue February 9, 2011. 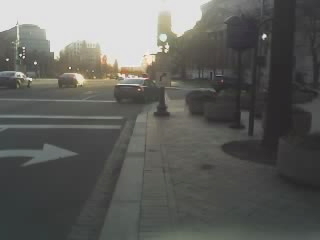 7:30 a.m. A walk to the Newseum and its Knight Broadcast Studio where The Atlantic and Microsoft host an open forum on economic visions from politicians and business. With impending press releases and administration initiatives (see “The Action” below) tackling economic malaise and American global competitiveness issues, interest is high as forum audience and panelists arrive and get sorted out. This entry was posted in U.S. Economy and tagged Community Studies, current events, DC Metro, Egypt, Macintosh, Mohawk, Native American In The City, Petro-Politics, Stuxnet, UCSC, Washington DC. Bookmark the permalink.